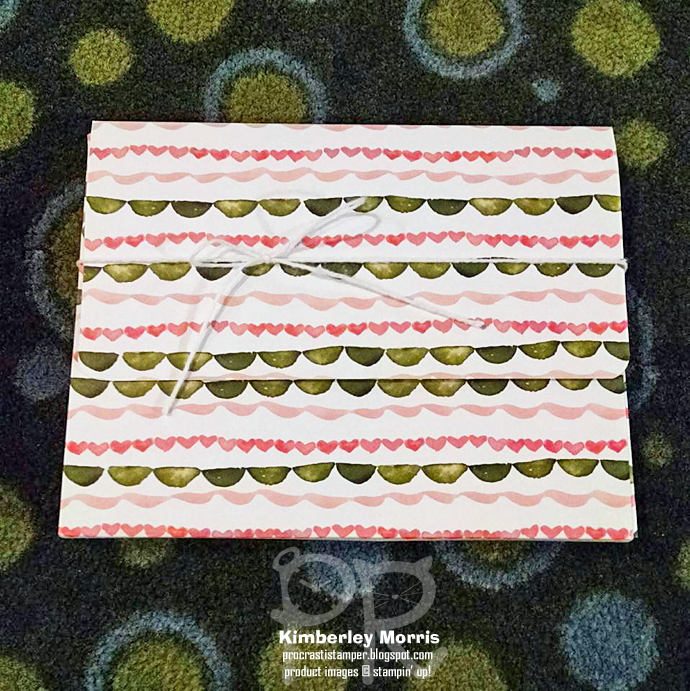 Unfortunately, the items on the Retiring Lists have been while supplies last ONLY, so if you enter the item number for a product and it doesn't show up, that means it has already sold out :-( The best way to see the currently available selection is to click on the Retiring Products section in my store. Click here to SHOP NOW in my Online Store! BUNDLES - will only be available at a 10% discount, as opposed to the current 15% discount. Also, any Bundles which have been available in previous catalogs will NOT be offered in new catalogs. 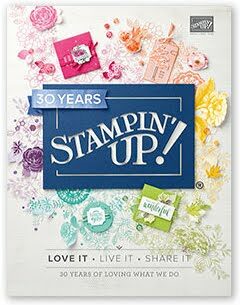 For instance, the Rose Wonder stamp set and coordinating Rose Garden Thinlits will actually be available in the new catalog, but they will not be bundled (because they were previously bundled in the Occasions Catalog)...so after May 31st you'll be paying 15% MORE to get those two items. Again, NEW Bundles in the catalog will only be available at a 10% savings after today. RETIRING PRODUCT (Up to 50% OFF ENDS TODAY!!! 2016-17 Annual Catalog Open House - NEW In Colors! 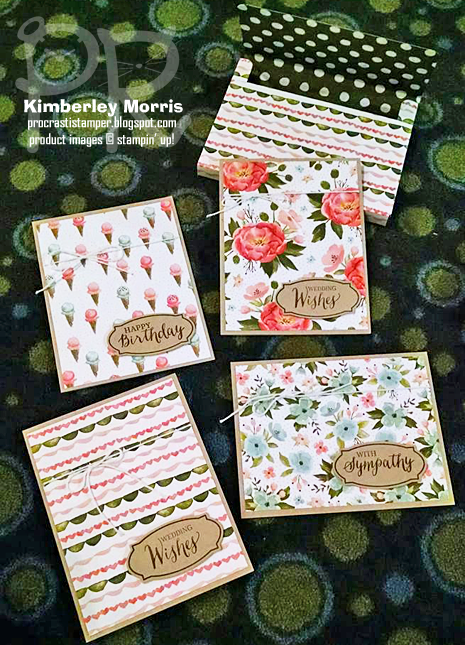 I want to point out that I have used a currently available stamp set for this card, that comes bundled with a punch, which you can get for 15% OFF, *IF* you order it BEFORE June 1st! 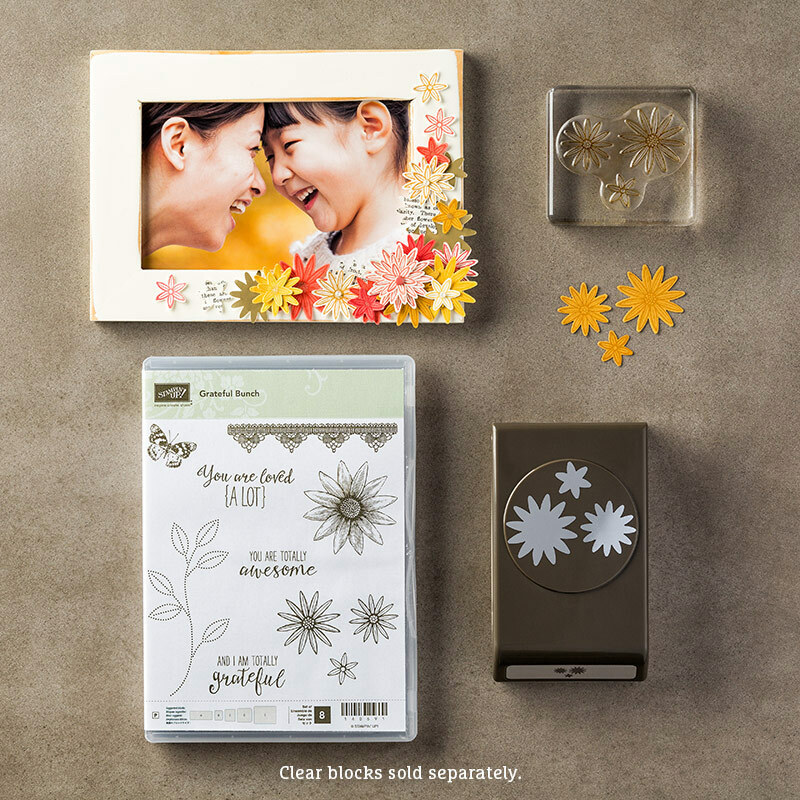 Purchase the Grateful Bunch Photopolymer Bundle, and get the stamp set PLUS the coordinating Blossom Bunch Punch. Check out the pic below to see the items together. (To be honest, I'm not normally a big fan of photopolymer but I have a cool trick to show you with this stamp set and punch, that makes it TOTALLY worth it!) Don't forget to check out the Retiring Product section before June 1st to see if there's anything else you want to get before it's gone for good!!! 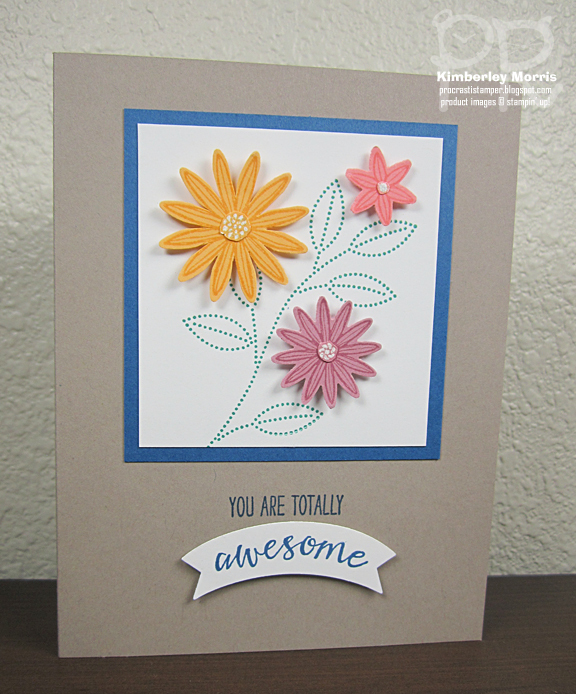 The card base is a current In Color: Tip Top Taupe. The rest of the colors (except white, of course) are the NEW 2016-2018 In Colors: Flirty Flamingo (top smallest flower), Peekaboo Peach (biggest flower), Sweet Sugarplum (lower medium-sized flower), Emerald Envy (stem and leaves image), and Dapper Denim (greeting). It can be difficult to get a picture that is going to show up on every device accurately, but all these colors are GORGEOUS. If you know me at all, you probably know my favorite color is blue, and that I've been pining for a denim color in our line up for a good while. So, yeah, I'm excited!